When I was growing up it was always tradition that my parents would give each of my sisters and I a book for Christmas. In 1996 mine was a large-format paperback with a blue cover and a picture of a scared-looking bloke in the rear turret of a Stirling bomber. It was called Australians at War in the Air 1939-1945, Volume One*, and it was in fact the first book about Bomber Command in my now not insignificant collection. Twelve years old at the time, I would not have even considered that one day many years later I would meet the book’s author, and indeed would come get to know him quite well. 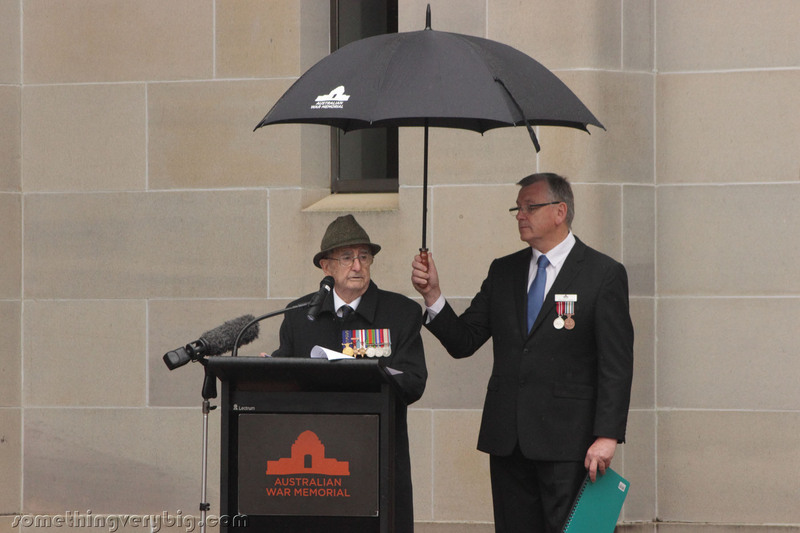 Sadly, Ross Pearson OAM, a 102 Squadron wireless operator, died on 13 June 2015. Ross started collecting stories in the form of recordings, diary excerpts and written reminiscences when he began attending reunions with the Air Force Association’s Halifax Branch in the late 1980s. Based entirely on primary sources – direct from ex-servicemen living in Australia and only lightly edited – those stories formed the basis of two books that were published in 1995. One of them, concentrates on Coastal Command, the Middle East, South-East Asia and the Pacific, and the 2nd Tactical Air Force, and the other – about training, the journey to war, Bomber Command and PoWs – was the book that I was given that Christmas. Like many eventual aircrew, Ross was in the Army first and his time in the bush, perhaps, influenced his decision to join the Air Force. That and, as a Sydney boy, “training at Bradfield [meant] being able to see my girlfriend regularly”, he wrote to me in January 2014. As usual, though, the Air Force had other ideas and Ross ended up at 1 Initial Training School, Somers – in Victoria. “Picture my feelings of disappointment,” he wrote. 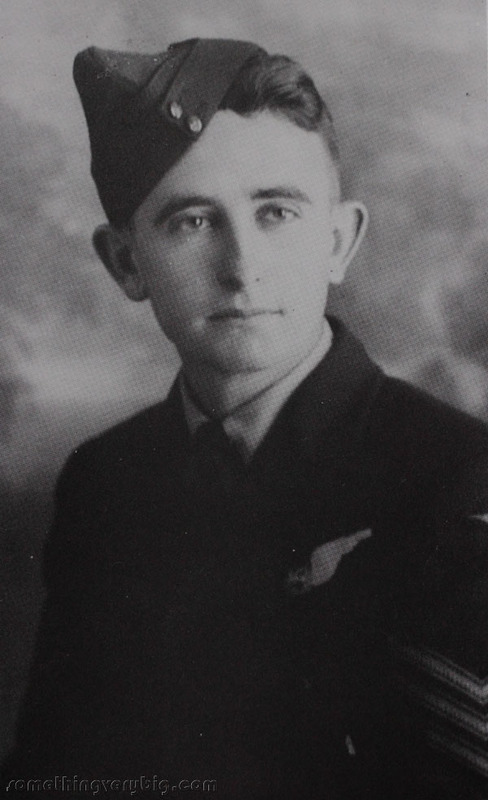 Told he could not become a pilot because he had not attended Morse code classes while on the Reserve, he was selected instead (and somewhat ironically) as a wireless operator and sent to 2 Wireless Air Gunners School in Parkes, NSW. Here he decided that, because of his self-described lack of technical ability (“I’m all thumbs…”), he would put in for training as a straight gunner… until he spoke with a few operational gunners who were on leave. “They’re hosing them out of the turrets up north”, he was told. Cue a rapid change of mind. Ross suddenly found a new enthusiasm for his studies, eventually passing out at 30 words per minute in Morse and with a top-level assessment. In Ross’ case, it was 102 Squadron, flying Halifaxes. Ross remained an extremely proud Halifax man throughout his life and I well remember the banter each year at the Bomber Command Commemorative Day Meet & Greet functions, when Ross would defiantly put on his Halifax cap and from the lectern poke fun at the majority of the veterans present who flew “that other four-engined bomber”, an example of which, of course, was over his shoulder at the time. Ross was a story-teller. I received a very good letter from him a couple of years ago in which he covered many of his wartime adventures. What a mistake he made so boasting. Someone (I won’t say who) tampered with the Morse key by going back one evening and doctoring the instructional key – pulled it apart – put a little varnish on the contacts and painted over this. Next day our boastful instructor was called to help find a key fault – he couldn’t and spent considerable time searching for the fault. They had to return early from their first operation, Ross said, because their “Gee” set went on the blink. Ross had to use his equipment to get “QDM” bearings to find their way back to base, and they were in the circuit when their R/T radio also broke. Ross’s pilot was not happy, wanted Ross to fix it and gave him what Ross called a “vivid set of advice”. Predictably, the pilot’s transmitter was jammed on and all the colourful language was relayed to base. After 34 trips Ross was posted to 27 OTU, Lichfield, as a “screened” instructor. This, he reckoned, was almost as risky as ops. “Indeed, I was on the verge of requesting to go on a second tour.” When on training flights over the Irish Sea, the procedure was to report in every 30 minutes to confirm everything was ok. Instructing the trainee to do this on one occasion, he said, he then retired to the back of the aeroplane to have a snooze. But 40 minutes later the trainee woke him up to tell him that he had not been able to make contact because the frequency was so congested by other callers. So Ross sent his message at ten words per minute, much slower than the usual, thus indicating to the ground operator that this caller was clearly not a wireless operator and needed priority, so he got straight through. I later heard that the trainee told his colleagues of this great Aussie WAG who could get through almost immediately despite the crowded channel – great for the ego. 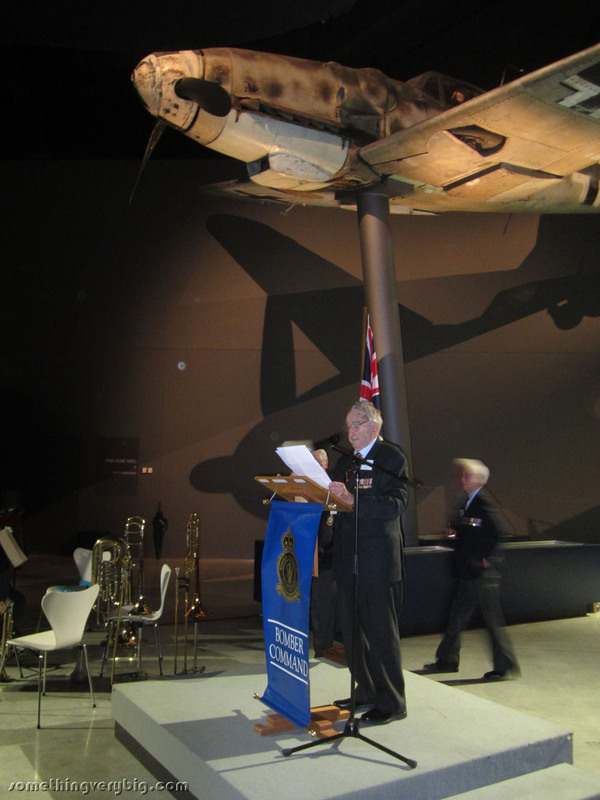 In recent years Ross was one of the original group of veterans who conceived of and then established what we now know as the Bomber Command Commemorative Day. Indeed he was the President of the Foundation that was set up to organise the event each year. So it was especially sad that he suffered a stroke on the morning that he was to leave for Canberra for this year’s event. I, and I think a great many more people, will deeply miss hearing Ross telling more of his stories.